Hello and happy new year! We are getting pretty close to the release of GTA V (which is supposed to be somewhere during this spring, but there still isn't any date for the release and i hope that they won't need any more time to work on the game). So the moment we all have been waiting for is here! The second trailer for Grand Theft Auto V has been released and believe me, it is all clear now! We now have the story, the characters, the lifestyle, the action ... everything that we still needed to know about GTA V.
The game seems to have endless action, the facial expressions seem not as good as at L.A. Noire (hope they will be). But again, this might be that GTA game that will not be based on graphics but on gameplay, just like the other GTA that was set in Los Santos was and here i'm talking about San Andreas. We still do not know if at some point we will have a surprise and meet the old version of CJ. That would be cool. In some screenshots you can see some great graphics on the objects that are closer to the camera but the objects placed farther seem to have GTA IV graphics. Anyway i have no doubt that GTA V is going to be a great game and that is going to be so much different than the older Grand Theft Auto games. Also GTA V is going to have a big number of improvements in the fighting system. Probably Rockstar realised that gamers are not really looking for close to life graphics but to a great gameplay and fun to play game. The first official details for Grand Theft Auto V have been revealed. As we announced a while ago, a team of journalists has been invited to Rockstar's headquarters in New York City to see the game and find out more details about it. They only got the permission to post the details about now and we found out some interesting facts about the game. 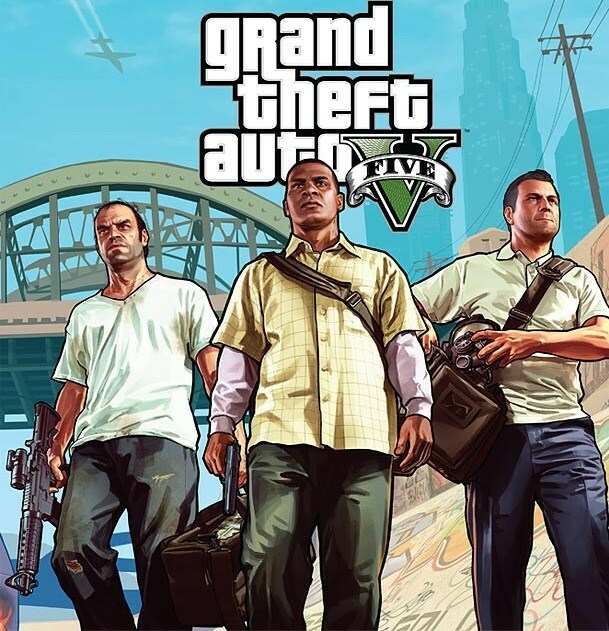 The details are: GTA V will have three playable characters. It is the first Grand Theft Auto game that will have more playable characters. Their name are: Michael, Trevor and Franklin. Players will be able to switch between characters only by pressing a button and they will be able to play different missions for each character. So we will have a very complex game besides the huge city that is waiting for us to be explored. Michael is a retired bank robber (may be the old guy we have seen in the trailer) who decided to get back in the game because his wife burned because of his impressive fortune. The second character, Trevor is Michael's friend and is a drugged out psychopath. Probably he will be the character which will have to blow up things. About the final character, Franklin we do not know pretty much. We may discover this character more in the game but he 'is introduced stealing a car'. GTA V will be a crazy game. Michael will have to rappel down the side of a building at some point during a mission. We will be able to switch between characters even during the missions. So if you do not want to control Michael while he is trying to get into the building, you could control Franklin who will try to snipe the enemies. The cars have improved physics and another interesting details about the game is that Rockstar hasn't hired any stars to provide voices for the game. I think some unknown people will provide a better experience of this game. Since we are living in a modern technology era, the three characters will be able to browse the internet from their smartphones. Don't forget, the second trailer for GTA V will be released on November 14th. GTA V Confirmed for Spring 2013. Pre-Orders start next week.